Male grooming has become increasingly complex, especially in a hyper-modernized world. 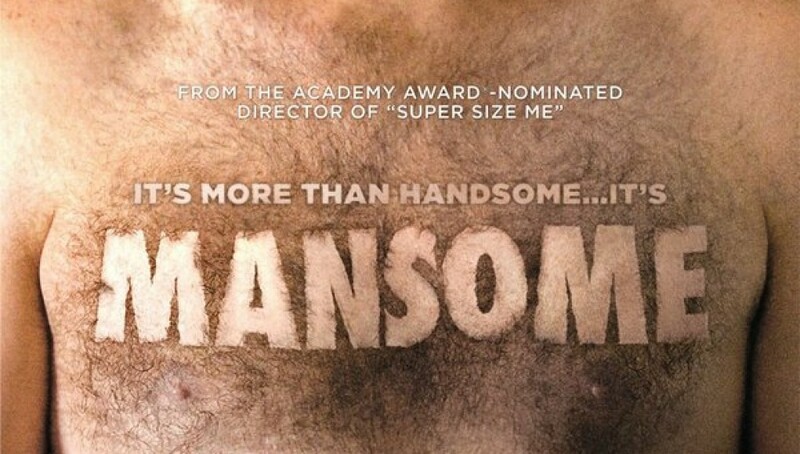 Mansome tackles these issues of male identity by examining modern methods and ideals of male grooming. Directed by Morgan Spurlock, this 2012 documentary attempts to comprehensively explore the various styles and interest in men’s grooming. Hosted by Will Arnett and Jason Bateman while they enjoy a pampering at a spa, the film is split into individual chapters that explores a specific aspect of male grooming while following an expert who explains their perspective and experiences. Featuring interviews from iconic celebrities, sociologists, experts, and women, we are provided with a broad survey of men’s hygiene and grooming in modern times. The first section features the Spurlock himself, how he came up his trademark moustache, and the affect it had on his son when he shaved it, who ended up crying and distraught. I can relate to this as my father, who has always had a full beard, shaved his off when I was four years old. I could not recognize him, I sincerely believed I had a new father, and told everyone about it (something my mother had to embarrassingly explain to others). Then there is the beard, of which, Jack Passion is a bearding world champion. He discusses the virtues of competitions and the importance of a strong healthy body as a means to develop a strong and healthy beard. Humorously, he likens aggressive interest in his beard from others to breasts, he does not like it to be pulled or inappropriately touched. While not nearly as robust and vast as women, some men do have a large amount of body hair. Professional wrestler Shawn Daivari shaves his entire body almost daily to maintain his physique and be ring-ready. Then, there are men who do not have the lucky genes to maintain a full head of hair. We follow a custom hair “systems” expert as well as the various complexities of barbers and hair stylists for men. Lastly, we follow one man’s arduous attention to detail and the lengths he will go to cover up the insecurities of his teenage past, and pontifications on the role of metrosexuals in American society. While many of the men in this documentary call for more awareness and attention to looks, often times for professional reasons, some still believe a more casual interest in a man’s looks is the way to go. Adam Carolla and Zach Galifinakis argue for a more causality in daily routines and to claim whatever inherent and genetic flaws and utilize them as distinguished traits. Essentially, women are not alone in their insecurities based on the values and images placed upon them by media and peers. There is a perceived crisis among men in American culture. For several decades, they have been portrayed as bumbling fools (The Simpsons, Home Improvement) and adult children (The League, Family Guy). On the other hand, there is a large counter-perception that men are struggling to adapt to hyper-modernity, and websites like Art of Manliness provide modern tales and tutorials on what it is to be a man (AoM author Brett McKay appears in the film). Mansome helps us understand that men are expected to choose distinguished route in their appearance, maintain it, and if possible, improve it. 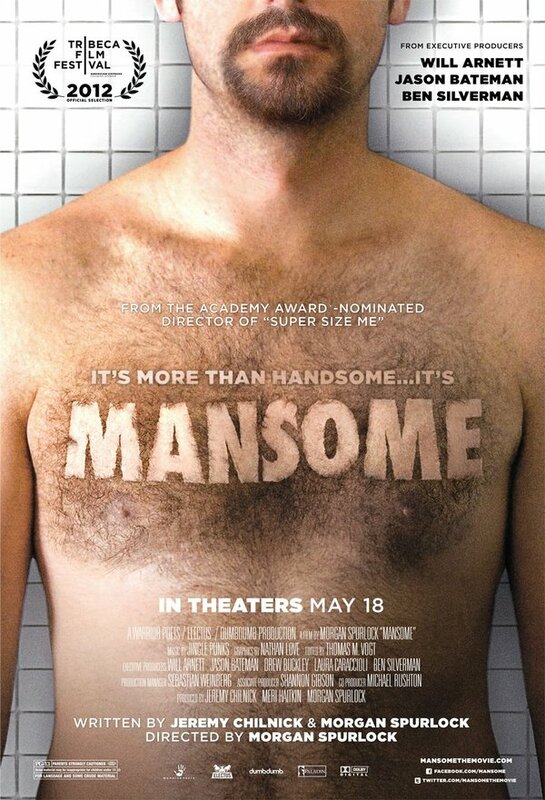 Spurlock has grown tremendously as a filmmaker and documentarian, and Mansome appears to be a much more casual piece, especially when compared to his daring Super Size Me and The Greatest Movie Ever Sold. However, it may be his most introspective film, especially since he shares a tender moment between him and his son. His experiment to shave his moustache sparks an immediate reaction and conclusion. Facial hair does create a distinguished symbol for friends and family, thus, so will other parts of the male body. Even though this moment is the first chapter in the film, and even though his icon handlebar moustache is an essential part of his own personal brand, he places his son’s happiness on his shoulders, and walks down the street with unfettered pride.